The intermediate level is an ongoing program designed to further the knowledge and training of the student. 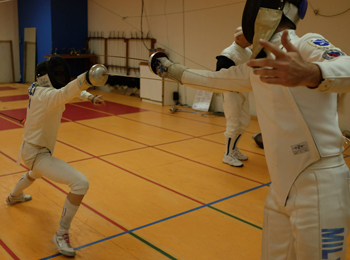 The intermediate level focuses on the training of physical and mental techniques. 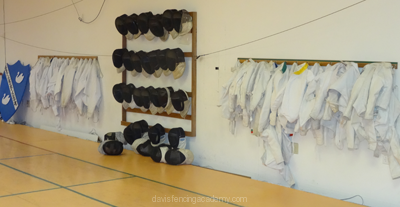 Instruction is given twice a week for one hour with footwork, bladework, conditioning, tactics, drills, and free fencing incorporated. 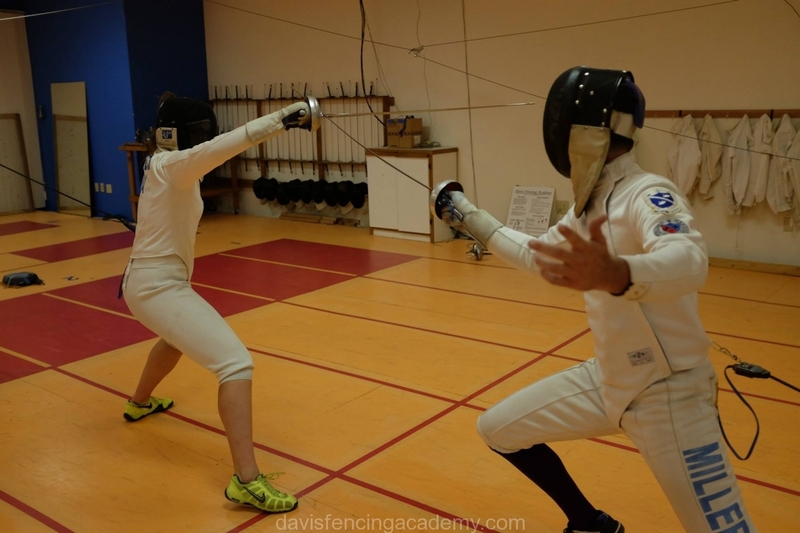 After four to twelve months, dependent upon ability, age, and desire, a student may move up to the advanced classes and private lessons. 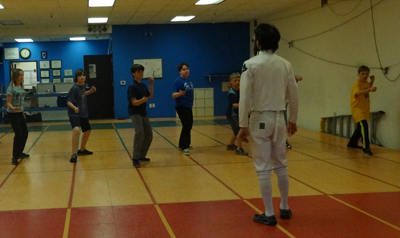 Advanced footwork sessions are designed to increase a fencer’s technique while building stamina, strength and flexibility. 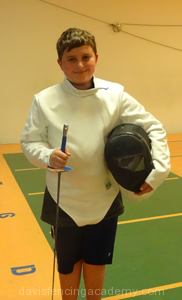 Sessions are open to all fencers and students after completing intermediate level fencing. Sessions are instructed 4 times a week for one hour. 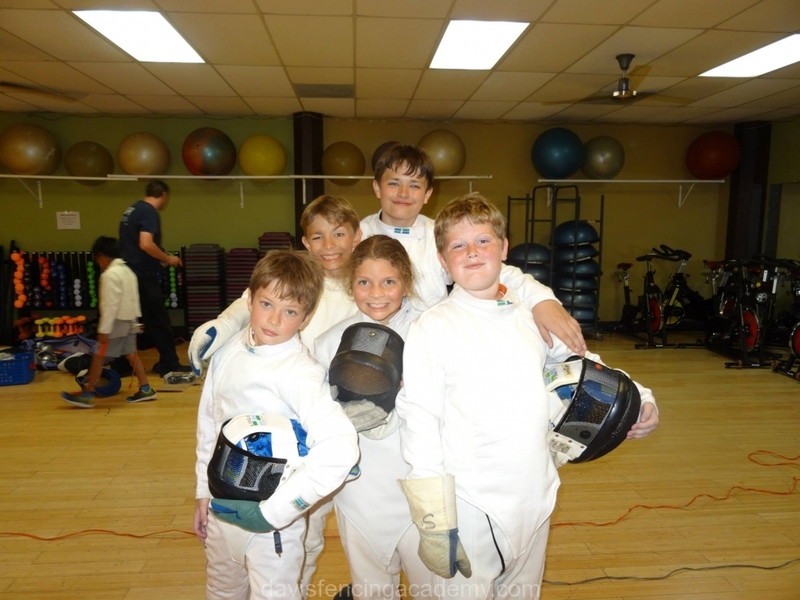 Fee for sessions are included in monthly dues. 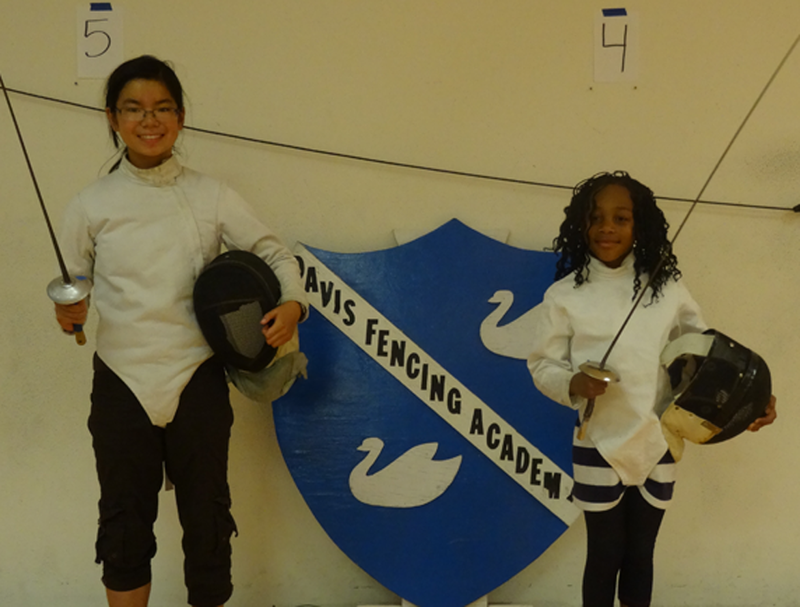 At the advanced level the student is competing in local and national competitions. 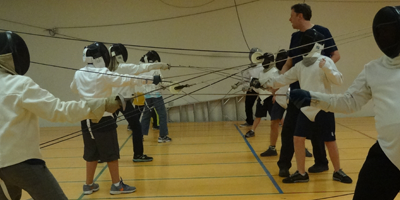 Instruction at this level is focused on distance, timing, situational tactics, and tournament preparation. The student’s instruction at this level may be supplemented with private instruction to develop an individuals unique talents. 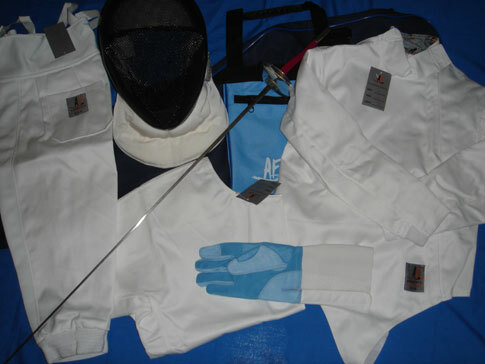 In addition to the basic equipment, pants and under arm protector (plastrons) are required. The club does not provide these items. Chest protectors are required for women and are optional for men (though highly encouraged). 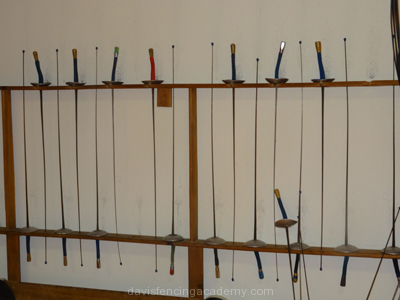 Intermediate and advanced electric fencing students are encouraged to acquire their own electric weapons, bodycords, and lames. The club has a limited supply. Tournaments require 2 weapons and 2 bodycords to enter.